With our summer well underway – there’s no better time to invest in some outdoor garden furniture for your business. You need furniture that won’t break the bank to maintain, won’t rot or suffer from mould and is of the highest quality possible. You don’t need to be paying more for maintenance than you did to buy the product. The answer is here in the form of plastic wood. Made from recycled plastic – it completely makes timber redundant. Not only that but it’s completely environmentally friendly. It’s essential to consider the environment extensively when investing in products – especially as a business. Market leaders and innovators around the world place a heavy stake in conducting business with others that share their values, and this is a core belief of many. You can get a sustainable product ideal for architects, councils, schools or any other public area. Longevity, little to no maintenance requirement and a beautiful finish make plastic wood furniture the ideal choice. It’ll last as long as you need it to, far exceeding the lifespan of a wooden product. In around 7 years time you may have to consider a replacement (after years of maintenance) – this is not the case with plastic wood furniture . Recycled plastic products are an investment in the very highest quality cost efficient product – that is also environmentally friendly. Taking into consideration maintenance time and cost, as well as weather vulnerabilities – recycled plastic wood is the top choice. 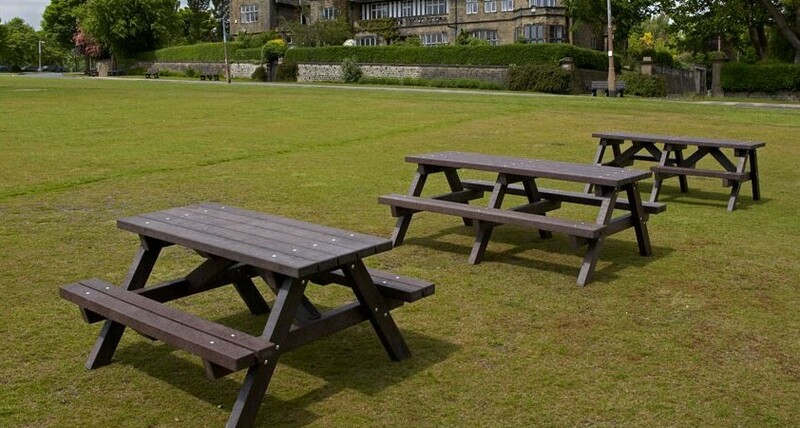 Eco Plastic Wood have a range of products available including benches , chairs and whatever else you can think of. As we make everything to measure, we can service all requests and the result will be exactly what you need.